Group Registration and individual Attendee Registration are now open. Early-bird Attendee Registration rates apply through April 30. Registration closes on May 15. Why Should I attend Festival Conference? Handbell Musicians of America, Area 1 will hold its biennial Festival/Conference on the campus of the University of Hartford in West Hartford, Connecticut, from June 27 through June 30, 2019. Festival/Conference is sponsored by Handbell Musicians of America, Area 1 for the benefit of the members of the Handbell Musicians of America and the members of the ensembles that they direct. Handbell ringers, directors and educators from all over New England and beyond will gather for four days of educational workshops, massed ringing rehearsals, concerts, and the opportunity to network with others who share a love for handbells. The event culminates in a closing concert that is free and open to the public, featuring an hour-long presentation of handbell music rung by 500 ringers! If you have never experienced Festival Conference before, you’re in for an unforgettable weekend with some of the nicest people, superb directors, and the best bell ringing in New England. If you’re a veteran Festival attendee, we look forward to reconnecting with you! Festival/Conference is sponsored by Handbell Musicians of America, Area 1 for the benefit of the members of the Handbell Musicians of America and the members of the ensembles that they direct. Members of the Handbell Musicians of America may register their groups here to obtain a Group Registration Number that will be used by their ensemble members to register as individual attendees. Partial groups and “Orphan” ringers attending without a group are welcome! Check here for more information and directions. Registration to attend Festival/Conference 2019 is available on this website for each individual attendee. The Attendee Registration will open at 12 PM Eastern Daylight Savings Time, on Saturday, March 16, 2019. (The opening of the Attendee registration has been moved to Saturday to facilitate access for those with regular work schedules). Registration closes on May 15. 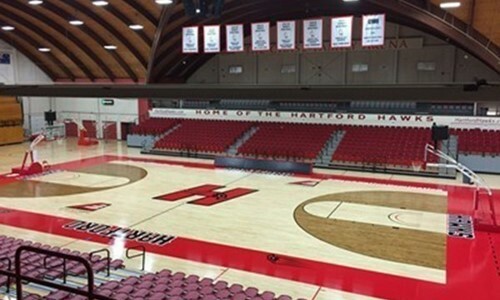 IMPORTANT NOTE: Due to insurance requirements, the University of Hartford will be providing all tables for the massed ringing floor. Therefore table rental is mandatory, but will be included at no additional charge. Total linear feet needed to be provided during registration. Why should I go to Festival Conference at Area 1? …to learn new things! Everyone, even the most advanced ringers can learn something new. Maybe it will be in a massed rehearsal, at a class for basic ringing, advanced techniques, an open discussion, or origami, yoga, steel or african drums, or even while chatting at mealtime. …because if you have never experienced it before, you’re in for an unforgettable weekend with some of the nicest people, and the best bell ringing in New England. What’s New at Festival Conference? Who loves a good field trip? A visit to the 55-bell Carillon at Simsbury United Methodist Church will allow attendees to explore and play this magnificent instrument! 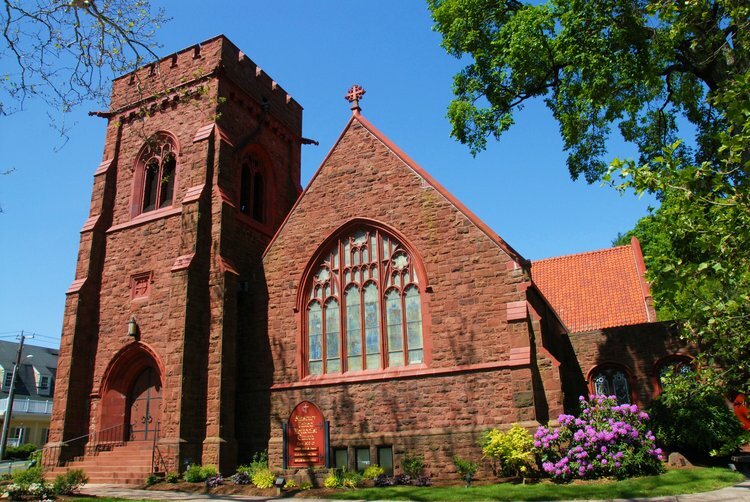 Note: Attendees will need to provide their own transportation to the church, about 20 minutes from the University campus, and be prepared to climb steep, narrow stairs. Every handbell musician needs a little break from ringing, right? Try one of these Personal Enrichment Classes: African Drumming, Line Dancing, or Barbershop-style a cappella Singing! Amazing Mini Concerts! In addition to our spectacular Opening Concert on Thursday evening, presented by Forte, we will be treated to Mini Concerts on Friday and Saturday evenings – and you could be one of the performers! These concerts are a chance to showcase your choir in front of a supportive audience of ringers and hear new music. Peter Coulombe will be our emcee, and he’s always a crowd-pleaser! We’re offering 3 classes required for Handbell Musician Certification Level 1: Handbell Techniques, Music Theory, and Conducting. Take one, two, or all three of the certification classes, and still have time to ring in the massed ringing aspect of Festival. Note, the 4th class needed for Level 1 is History and is designed to be taken online. The registration fees listed below for regular Festival/Conference attendees cover housing, all meals from Thursday dinner through Sunday lunch, and all workshops, classes, rehearsals, and scheduled events. You may choose single or double occupancy. Additional charges will apply for music and special workshops. All registered participants will receive a complimentary Festival/Conference t-shirt. You may live close to Hartford, or you may prefer to stay in facilities other than college dorms. The Commuter option is a reduced registration fee that will provide you with lunch, dinner and all Festival activities, but requires that you make your own arrangements for housing and breakfast. Additional charges will apply for music and special workshops. All registered participants will receive a complimentary Festival/Conference t-shirt. Participants under age 18 must be chaperoned; one adult (age 21+) chaperone must be present for every 6 ringers under 18. Chaperones will meet briefly at the beginning of F/C to learn expectations and emergency and disciplinary procedures. Adults attending only as chaperones may register at the reduced rate listed above, but may not attend classes or ring in the Festival. Non-ringing companions may also register at the Chaperone rate. All registered participants will receive a complimentary Festival/Conference t-shirt. Early Bird Deadline is April 30, 2019. All fees will be increased by $30 for registrations submitted after April 30, 2019. 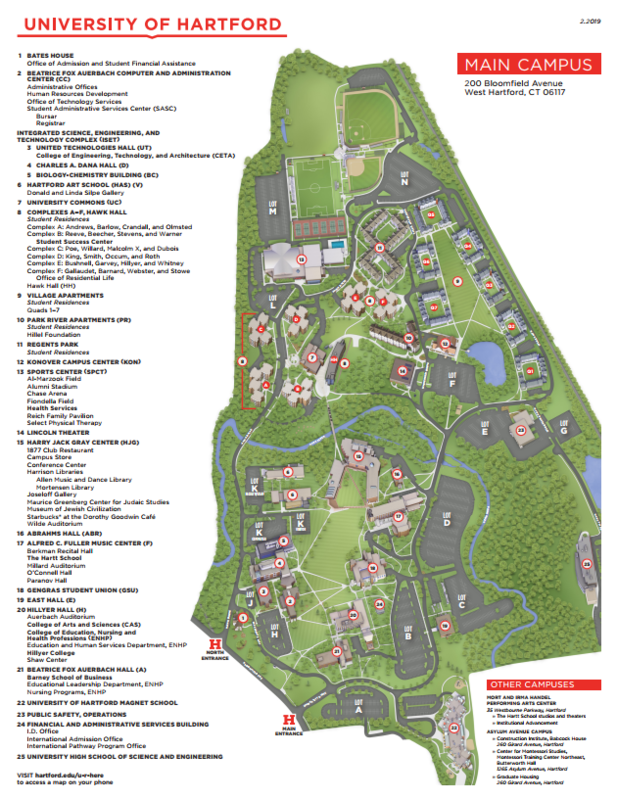 Most of the UHartford campus is handicapped accessible. The dining hall, dormitories and ringing arena are close to each other and are handicapped accessible. Those with mobility impairments will be given a special information packet about handicapped parking and handicapped entrances on campus, but you need to let us know about your special needs during the Attendee Registration process. We can provide refrigerators in dorm lounges for those who have medication that needs refrigeration. Please indicate if you have this need on your registration form. Special dietary, housing or accessibility needs must be detailed during the registration process, as adequate time must be provided to accommodate these needs. Housing is provided in on-campus dormitories. All rooms will have air conditioning. Non air-conditioned rooms were not offered by the University of Hartford. Rooms will include linens for the bed, but are not furnished with toiletries, desk lights or kitchen housewares. Pillows are included. Towels are not. The rooms are completely empty with exception of bed, desk, and dresser. Bathrooms will have shower curtains and toilet paper provided. Laundry Rooms are available in each dormitory. There is no charge for laundry. Free parking will be available in the University parking lots. Scholarships are available on a variety of levels. If you are in need of financial assistance in order to attend this event, please apply for the financial assistance scholarship. Directors who are members of the Handbell Musicians of America in Area 1 and have never attended an Area 1 or National event may apply for the Bradford Scholarship for Directors. Choirs attending an Area 1 event for the first time may apply for the Bradford Scholarship for Choirs. For more scholarship information, please see the scholarships page. All participants are expected to purchase and rehearse the repertoire prior to attending Festival Conference. Photocopies of music are NOT permitted on the ringing floor. Way Down in Egypt Land (Brian Childers) Sonology – NOTE: This is a reproducible score – buy ONE, make copies. Rehearsal notes are important! They help manage expectations on both sides of the table. Click this link to download a PDF of the Area 1 FC 2019 Conductors Notes. If you have never witnessed or participated in a Massed Ring, you are in for a spectacular experience! Imagine the floor of a college basketball arena, packed with 1000 feet of pad-covered tables, 3 choirs across, 10 rows deep, populated with 500+ handbell ringers, all ringing in sync under the baton of one director. The visual is amazing, the sound is inspiring, and the encounter is unforgettable. Most importantly, massed ringing is an opportunity for personal growth. In a situation where you have multiple choirs all ringing the same piece of music, you can feel confident to reach a step or two beyond your usual ringing comfort level, knowing that there are many other ringers who will cover for mistakes and fill in missing notes. Every ringer should experience a Massed Ring, and there is no better place to do that than Festival Conference. Tins – A division of massed ringing for beginning/emerging choirs that are generally ringing Level 1-2 music. Coppers – A division of massed ringing for intermediate/more seasoned choirs that are generally comfortable ringing Level 2-3 music. Bronze – A division of massed ringing for advanced skill-level choirs that are generally comfortable ringing Level 4-5 music. Please visit the special page we have for all things bronze division. Guest Conductors for 2019 Festival/Conference are nationally-renowned composers, Cathy Moklebust and Kevin McChesney. Moklebust will direct the Bronze and Copper choirs, while McChesney will direct the Tin and Massed choirs. Cathy Moklebust (b. 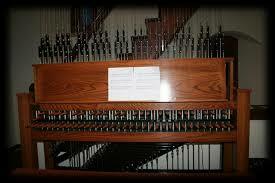 1958) has developed and directed handbell music programs since 1983, and has played bells since childhood. With her dynamic, positive approach and skilled conducting, she is in national demand as a handbell clinician and festival conductor. 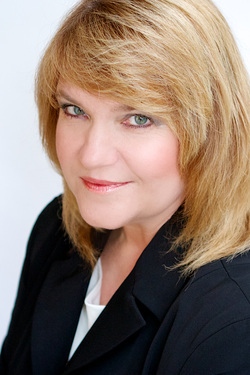 As one of today’s most popular handbell music composers, she has approximately 250 published compositions and arrangements to her credit, many of them reaching bestseller status. Her music has been described as “pure joy to ring and listen to, having a uniquely delightful sense of melodic and rhythmic interaction, with elegant form and style.” She has been commissioned to write music for festivals and other events, as well as for many individual handbell ensembles, including nine for the Raleigh Ringers. Cathy’s music has been broadcast on “Today,” “Good Morning, America,” public television, public radio, and SiriusXM satellite radio. Ms. Moklebust began her musical career as a public school instrumental music instructor in South Dakota. She is an active percussionist, and has performed as principal or section percussionist with several professional and community bands and orchestras throughout the upper Midwest. Cathy has played in, conducted, and coached church and community handbell ensembles in South Dakota, Minnesota, and Iowa. Since 1989, she has worked in the music retail and publishing industry; currently she and her husband David operate Moklebust Music Services, a music preparation service. Cathy earned both her B.A. (Music/Percussion, 1982) and M.Ed. (Teacher Education/Music, 1988) at South Dakota State University, in her hometown of Brookings, SD. She was encouraged in composition by her music theory professors Mary Alice Spencer Berger and Dr. Paul H. Royer, and studied instrumental conducting extensively with Prof. John F. Colson. Her handbell education began in 1970 with the Towers Handbell Choir of First Lutheran Church in Brookings, under the direction of the late Mrs. Barbara Berntson. Cathy and her husband reside in Brookings, SD. Kevin McChesney graduated with highest honors from the University of Colorado at Boulder with a BMus in Composition and Theory. A composer and arranger of handbell music, Kevin currently has over 450 titles in print and is one of the very few musicians who makes handbells a full‑time vocation. He has won numerous awards for his work, including American Guild of English Handbell Ringers Composition Contests and Jeffers Composer of the Year. 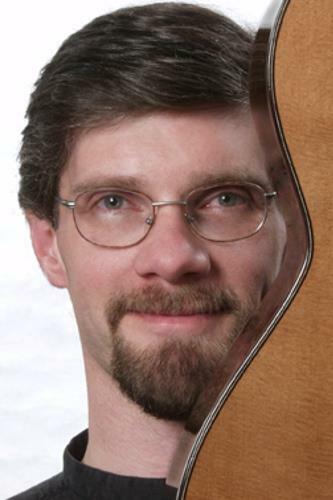 Kevin was a church music director in Methodist and Presbyterian churches for twelve years. For five years, he was also accompanist and co‑director for the vocal music department at Air Academy High School, where he co‑directed a major production each fall season for eleven years. Kevin is currently the handbell editor for Jeffers Handbell Supply and the RingingWord catalog. He directs an auditioned community handbell choir, the Pikes Peak Ringers. He is also co‑founder of the Solo To Ensemble Project, STEP, and authors a quarterly newsletter containing instruction and information for handbell programs, the Handbell Classroom. He is in demand throughout the handbell world as a workshop clinician and festival conductor. Kevin lives in Colorado Springs, CO, with his wife Tracy and their cats, Belle and Grace Note. Forté Handbell Quartet will be performing the opening concert. Based in Colorado Springs, Forté is an advanced quartet marked by artistry, energy, and dedication to their craft. In pursuit of musical excellence, Forté strives to explore, innovate, inspire, and glorify God through the gift of music. Formed in 2007, Forté began as an extended outlet for advanced ringers in Colorado Springs and immediately began to be featured in several concerts and tours with the Pikes Peak Ringers. But with an ever-expanding repertoire and the enhanced scheduling flexibility that only a small ensemble can provide, Forté soon emerged as a unique performance and educational quartet, quickly developing an elite reputation within the handbell world. The musicians of Forté – Luke Nabeta, Megan Reishus, Dillon Ekle, and Tory Marting – continually challenge themselves to “Rethink Possible,” expanding their musical and performance horizons, adding original compositions and arrangements to their already-challenging repertoire, and seeking out new performance venues and educational opportunities. 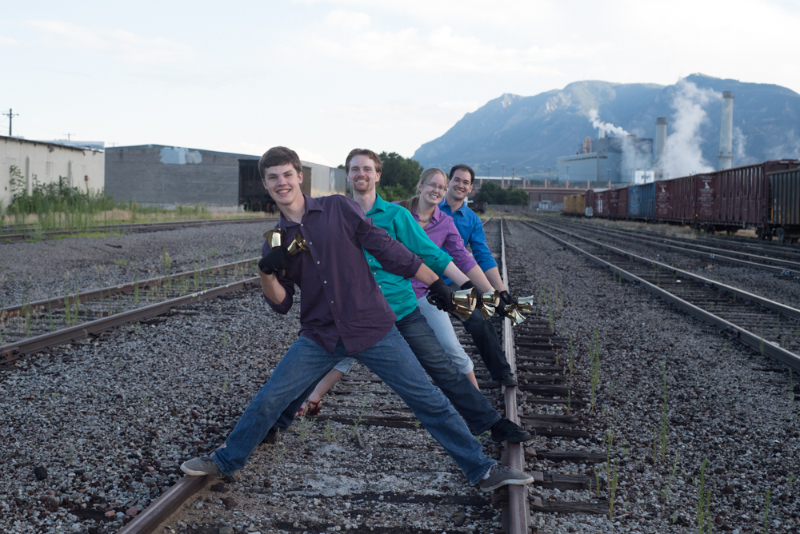 In the past few years, Forté has had an increasingly active schedule of concerts and recording CDs and music videos, were featured performers at the Handbell Musicians of America National Seminar in 2016, presented a successful tour from Colorado to New York and back, another to Minnesota and back, and are planning several more tours and recording projects in the coming years. In 2017 the group has been celebrating its tenth year and is looking forward to many more! Class list available on a separate page. Faculty for Festival Conference is listed on a separate page. Schedule is listed on a separate page. Click the campus map to see the venues Festival Conference will be utilizing. Registration cancellation/refund requests must be made via email to registrar.area1@handbellmusicians.org on or before May 15, 2019. You will receive a full refund minus a $20 per-participant processing fee. No refunds can be made for cancellations received after May 15. A registration may be transferred to another person; however, class selections cannot be changed. Housing assignments may be changed based on availability at that time. A class exchange system will be in place during the Festival/Conference to facilitate class changes.